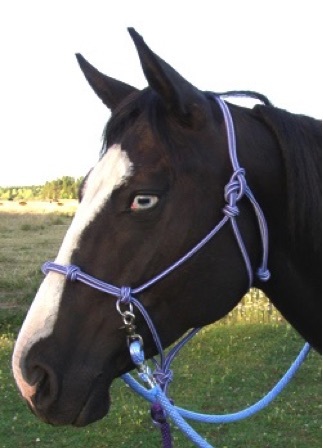 Bit hangers, reins, chin straps, browbands and lead ropes sold separately. Katie is shown here wearing 1/4" diamond braid sidepull. 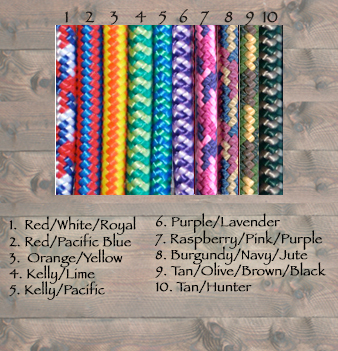 Tie off ends are finished in a lover's knot, which is the same knot used throughout the sidepull. Fiador knot at the chin makes it easier to adjust. We do recommend using one of our sidepull chin straps to help keep your sidepull in place. You can purchase those for $4.50, here. This set comes complete with stainless steel rings and four nosband knots. Choose from 7 sizes, starting at $17.